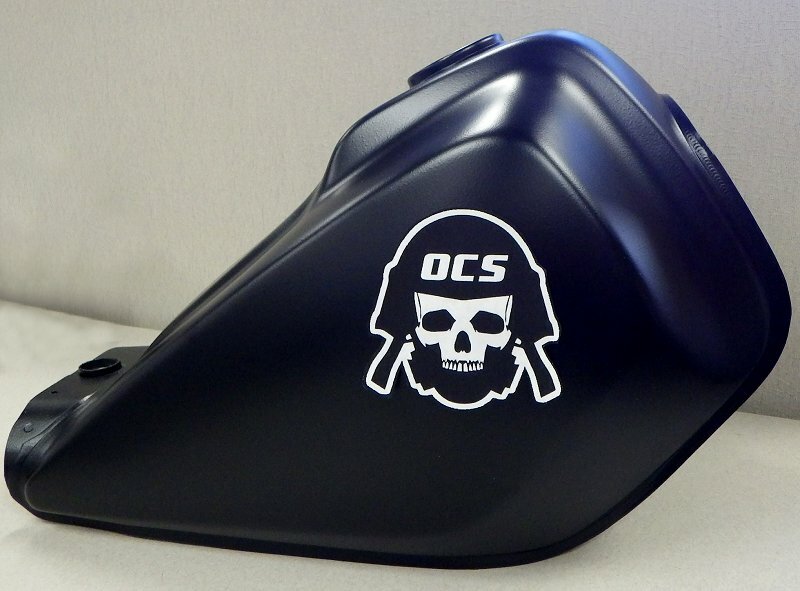 Osaka Custom Style: Paint Success!!! 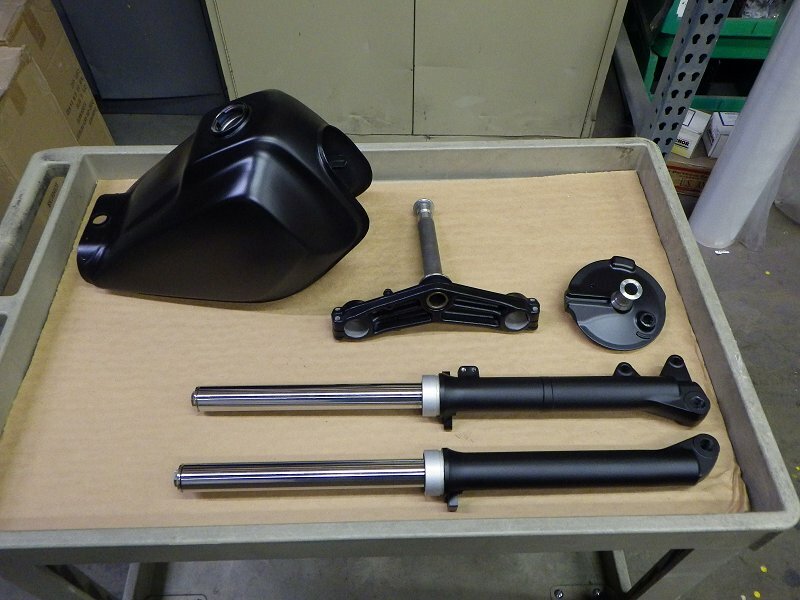 Got all my parts that needed painting done and ready for install. The matte black came out perfect. Exactly the right color. I am very happy with how everything turned out! The best part is, this is the first time I have ever painted anything with real automotive paint and I had very few issues. I will never use rattle can again! 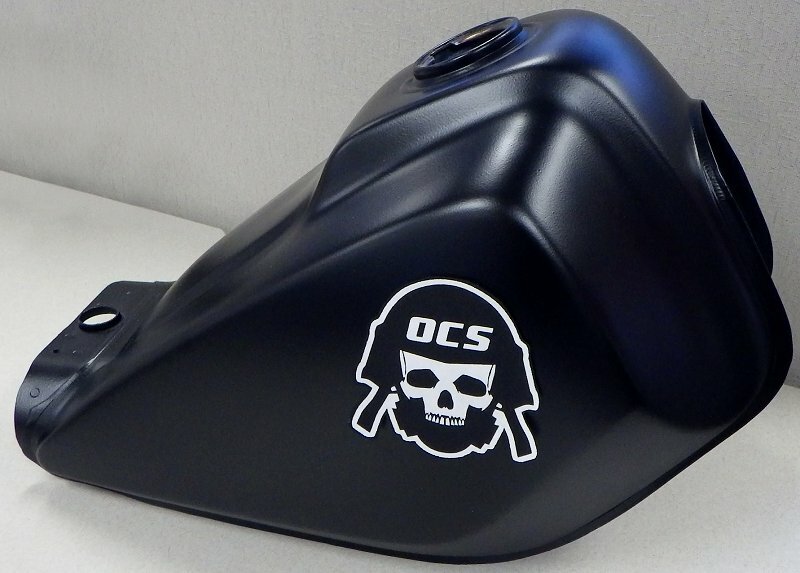 Here is a quick mock-up of the OCS logo on the tank. I am not sure how I feel about it yet. Straight on angle here, it looks about the right size, I just don't know about the stark white outlines. Hmmm.